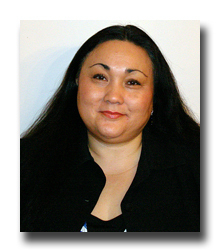 Elizabeth Asahi Sato, founder of Rise to Excellence consultancy, was named as a "Woman of Achievement" by YWCA Clark County. Born in Yokohama, Japan, Elizabeth was raised in Portland with two brothers and four sisters. In high school, she mentored young girls whose mothers were on public assistance. After graduating from Portland’s Parkrose High School, Elizabeth was accepted at the University of Oregon in Eugene where she took on an active role within the university and the community. She served on the Commission for the Rights of Minorities, and worked as a counselor and mentor for inner city youth and migrant and seasonal farmworkers. At age 19, Oregon Governor Victor Atiyeh appointed her to the State Board of Education. Elizabeth expanded her studies through Oregon State University’s overseas program at Waseda University in Tokyo, focusing on international and global relations. After marrying, working and while raising her children, Elizabeth resumed her studies and graduated from the University of Oregon with a bachelor’s degree in political science and a minor in ethnic studies. Her diverse work experience includes her role as an educational consultant for the Interface Center for Equity and Vice President of Operations for a major medical device distributor. In Vancouver, she served as Executive Assistant to the President at Clark College and Executive Director for Wiconi International, serving native and indigenous communities. You’re an expert in helping nonprofits and businesses ascend to the next level of leadership. Why did you decide to focus on management consulting? My three greatest strengths and interest are in business, nonprofit organization (NPO) management and ministry implementation. I like the fact that I created a business where I can work in the three arenas I love the best and have the most experience. A great deal of important change is affected by NPO’s and ministries. I also love working with businesses, both emerging and established, and I find it quite rewarding to work with minority and women-owned businesses. As an entrepreneur, what sets your consultancy Rise to Excellence apart from the competition? Consultants can either be a waste of time and money or they can be an effective part of any organization’s desire to achieve meaningful change or growth. My services are specifically tailored to the client. I don’t sell or push pre-packaged solutions. I consider very carefully who I take on as a client and I never ever take on more than I can handle. I am completely customer-service focused. I listen. I listen attentively, observe and discern very carefully. It is important to me that I really help clients, not tell them what I think they need to have or get from me only those services where I acquired expertise or specialty. Some of the packaged consultancy services offered through technical assistance groups are helpful but they are not always relevant to each and every NPO. Rather than suggest to the client they need services I have in my “bag of consultancy products” and trying to convince them to purchase pre-packaged goodies. I develop a game plan, a strategic plan—a recipe, if you will – that is uniquely created just for the client. I am also amazed at just how many NPO’s, ministries and business organizations use “outside” consultants (from back east or from California) as if they believe that being from a big city, purchasing an expensive website or charging high fees constitute “good advice and direction.” I encourage my clients to exercise “due diligence” even with me. Don’t get caught up in the “floss and gloss” but really examine if what this consultant has to offer will help get you where you need to go. I am disheartened to see just how many businesses and NPO’s get bad advice or direction not applicable to our local community. Packaged trainings are great for general information but sometimes—no actually quite often--- when an organization or business calls me they are “hemorrhaging” or maybe even “stuck” and they need to bring someone in they can trust and can count on to help them heal their wounds, get healthier and move forward. A good consultant must be willing to get in the mud with clients to work together to get that wagon wheel, out and moving forward. How does your work impact communities of color in our area? Professional people of color (PPOCs), especially young entrepreneurs, need to know that there is someone out there doing what they want to do, can do and they truly can be successful at it. Anytime we can encourage a level of excellence – whether it is in our professional careers or in our volunteer work—we are exemplifying what our great grandmothers instilled within us and what our great-great-grandfathers died for. I want to be a positive influence, a hopeful reference; I don’t even mind blazing trails (cutting down some really tall weeds of distraction and or figuring out how to make it past the glass ceiling that—for some has become impenetrable Plexiglas. It is important for me to be successful and open up opportunities for other. My impact is multidimensional and depends upon the arena I work in. With the POC’s who are business owners, I mentor them to utilize their creativity, wit and talent to get them to the next level—but I also tell it like it is. We POC’s like to look good – so we are gung ho about creating fancy business cards and nice websites. But we have to understand how critical it is to build a solid foundation before we go around sharing our “good news” about what we have. It is important to have a business plan and then it is critical to work the plan. You need to know when to stay the course and when to alter your course. Sometimes it is hard to hear the tough stuff—I can talk about the tough stuff but I can also show clients how to get past the tough stuff. Do you have a business plan—if not –why not? Do you have a budget? Have you set up separate accounts to delineate between personal and business income? Do you understand the tax laws—not knowing is not an excuse to the IRS whether you are an NPO, business or a ministry. PPOC’s are wonderful vision seekers. We have the capability to see the forest from the trees—in fact we see several forests at the same time—but we also have to be grounded. I help clients get grounded but stay inspired. I am a motivator—I know how to encourage but I also know when to push. When you mentor and mentor effectively you have to have the right balance. It can’t always be about telling the client how wonderful she/he is but be willing to guide that person effectively in utilizing their skills and strengths to propel them toward their goals. I love POC’s. We have a lot of heart and we have the uncanny ability to utilize just about anything and turn it in to gold. We see the good and the possible in many things. When I worked with CWS, I was amazed at how young Vietnamese children perceived shrapnel on the ground as potential. Good God that stuff caused pain and injury and death and yet the children saw the shrapnel as something beautiful. They created the most incredible jewelry—bells with ribbons--- out of what others would discard or bury or were ashamed to ever pick up. Also—we are so creative--don’t get me started on bragging about how we can cook just about anything and make it in to a delicacy. We are imaginative and wonderfully insightful. We can feed a lot of people with very little and we can create a lot of joyful faces with even the simplest of ingredients. Anything and everything I do impacts my community: how I raise my sons, how I deal with conflict, how I rise above, how I encourage others to shine whether it is personally or professional, how I accept and move past my limitations or mistakes, how I embrace all of the many possibilities within me. I understand God’s purpose in my life and I understand He expects a great deal of me. I cannot cower and hideaway and no I cannot and will not tone it down. I am going to shine as brightly as the rising sun and invite all POC’s to do the same. When you were starting out in the consultancy field, what were some of the early challenges? How did you overcome those challenges? I am capable, I can do many things but I needed to come up with a viable game plan. Knowing what to focus on first is tough especially when you have diverse interests. Where do I place my emphasis? Do I market or not? Do I understand my value? How do I place a dollar amount behind my experience and expertise? Truth be told I actually turn away some potential clients if my discernment suggest this is not a healthy collaborative partnership. I work all across the board--often ecumenically and no I just do not serve just Christian organizations—but I do believe that it is important to be ethical and embrace a sense of justice in one’s own work. The most difficult thing to do is to know when to say no and when to say yes. We POC’s need to understand why healthy boundaries are critical not only in our personal lives but in the work we do because we are compassionate and want to help everybody. I pray about everything. I grew up in a Buddhist household most of my life and became intrigued about the gospel of Jesus Christ only 20 years ago. But my faith perspective and my personal relationship with Jesus makes me solid, whole, and alive. It gives me the courage to be who I am and who I was uniquely created to be. It is very important to pray: to discern and to contemplate or meditate on any important business decision. What is your career path? What experiences led you to start your own consulting business? As a person of color, single Mom and professional woman in Southwest Washington, life is not always a bowl of cherries. I was laid off last February after helping an NPO build capacity. It was my recommendation because the organization had limited funding for operations and needed to cut administrative overhead. I knew beyond the shadow of any doubt that I could get a job. I was dumbfounded. I began to see some amazing coincidences. I was learning that in this community, it is okay to be skilled, talented, and knowledgeable, but it is not okay to shine. POC’s are not supposed to shine. We are supposed to accent or accentuate those in power. It’s Ok to smile during a photo opp or dance around with enthusiasm when we introduce the “main man” but God forbid if we become the main man. I hear a lot of politically correct managers in the mainstream say that POC’s have come a long way and yet I see day in and day out. Racism continually and very defiantly rears its ugly head in our schools, our communities and even in simple business transactions that folks in power say “laws are suppose to protect us” from facing disparate treatment. So what am I saying? I am saying it is time. I am saying this not only to me but to all PPOC’s—it is time. It is time to shine. We do not need anyone's permission, we do not have to be afraid of anyone and we certainly do not have to be anything or anybody we were not created to be. POC’s need to be able to have the courage to tell the truth about our struggles so others can learn. There is no shame in my game: the economic and social realities of being a POC glare at us each and every day. Do you know what it is like for very capable, intelligent, gifted PPOC’s in the Pacific Northwest? There are a number of us who are here, ready and willing and we are underutilized—why? I am not sure I have the answer—I got a hunch. Whatever the reason may be, our communities and our leadership need to get a clue. Do you know who named my company? My sons. One day I got a call from a potential employer stating that after three interviews, they selected someone else. I was devastated. I gave them my best shot. We all laughed with such joy. My sons were right: it was and is time. It is time to shine, it is time to let the world see who I truly am and what I have to offer without toning down anything and in so doing I pray I will inspire many like me: to rise to excellence. Always operate with integrity, ethics, authenticity, honesty and compassion. Be real: do real and get real. I never promise what I cannot deliver and I deliver what I promise. I am a networker so if I cannot do what you seek or get you where you need to go, I refer you to someone who can. I never hesitate to pass work on to others. We cannot be fearful of helping others succeed. It is like paying it forward, an investment in the greater good. If POC’s really knew how powerful and economically beneficial networking was—we would all be economically and spiritually wealthy. We also need to be fair and just if we expect others to be fair and just. Please be real: not everything the white man does is bad. White men know how to network. I saw it in the spine industry and see it prolifically in financial networks. White folks certainly know how to take care of their own. We need to not fear sharing and collaborating and referring. We also need to position ourselves to take care of our own. By the way, I also have a lot of fun. I believe you have to enjoy what you do or why do it? At this season of my life, I am committed to doing what I love or I ain’t doing it. What makes you effective at what you do? I am a good listener, I feel comfortable in just about any environment whether it is collaborating with an emerging grassroots nonprofit in any community of color to strategic planning in an exclusive boardroom full of corporate executives diverse or not. I have a keen sense of perception. It is very easy for me to see how things-strategies and people fit together. I love putting puzzles together. I have a lot of courage. My best friend in DC calls me “the lover of truth.” We laugh about it because he understands it can be a two-edged sword. In business you have to know when people are ready to hear and embrace truth even if it makes them uncomfortable. But I also advise that you be willing and have the tenacity to be right there with them, guiding them through the process of exploration-reconciliation and sometimes, knowing when to let folks go. I also do not see failure as something bad. We Asians—eastern thinkers—define conflict as both danger and opportunity. We don’t see conflict as something bad. The Kanji or the ideograph depicts potential danger—and it also depicts potential opportunity. It is all in how you look at and embrace conflict. It is important to ask can we learn from this: Can we grow? Can we become better at what we do? I love John Maxwell’s book Failing Forward. Some of the most successful entrepreneurs of our time came from a position of failure, but they did not allow their failures to prohibit them from moving forward. They used their failures as a stepping stone continually pursuing their goals, dreams or successes. How does your cultural background impact the way you do business? My mother Shizue Sato influenced me a great deal. In our family blood line our genetic heritage can be traced back to aristocracy and Samurai lineage. My people were both leaders and warriors. When we first came to this country, white people spit on my Mom just because she had slanty eyes. Can you believe that? But I always recall that my Mother held her head high, very high. She was not arrogant but proud. My Mom expected us to excel in academics, sports or music. She expected us to be leaders, because we were. My father instilled within us a sense of integrity, authenticity and courage. He commandeered huge tankers traveling nearly every ocean in our world never afraid. He fought to get unions established and then fought the unions to gain access for POC’s. He valued relationship and he did not play when it came to embracing integrity. I joke around with male suitors because I tell them you don’t have to love me but you better honor and respect me or we cannot even talk. Raising three incredibly conscientious, compassionate and thoughtful young men. 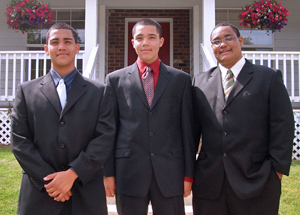 Gabriel Isaiah ent (17), Samuel James Kent (15), Elijah Solomon Kent (14). It is not always easy being a single parent but they are my central focus. I make it a priority to get to know their teachers, go to their athletic events, and spend quality time with each of them singularly and all three collectively. Utilizing spiritual discernment and wisdom in knowing exactly when to intervene and when to pull back and let them practice their own discernment and decision-making. Being a consistent parent despite the uncertainty of financial or personal matters that could potentially impact them. I am a good Mommy and my sons tell me each and every day. Oddly enough a major bank at the KOIN Tower asked me the same thing before turning me down—I guess I should have brought pictures of all of the awards, accolades and sales targets I surpassed—but for me the most important thing is to maintain my integrity despite a business world that often suggests cutting corners or looking the other way. I remember vividly being on the State Board of higher Ed sending back hard to access duck basketball and football tickets. I did not want my vote to be bought by anybody and it is still not for sale in any board work or business work that I do. Always advocating and making a way for PPOC’s to be invited and included in the process. I am not an advocate of the nonsensical “crabs in a barrel” theory. I think that is a stereotype we should never but in to. We must continually embrace advocacy. While it may be okay for a politically correct white person to talk about the value of diversity, POC’s are often examined under a microscope with regard to our opinions and positions. We cannot fear saying what is right. I am not talking about tolerance. I really dislike the word tolerance, by the way. What the heck do you mean that you are going to tolerate me? Why do I need your permission to be tolerated? We have value, we have worth, we contribute extensively—we are to be respected and honored—not just tolerated. I guess I better quit while I am ahead—this is my Asian Native background influencing what I say. I am proud that I have not forgotten my culture, my community and the value of what all POC’s have provided and what we still have to offer. All things are truly possible with a strategic plan and enthusiasm! I love helping people and organizations achieve the best possible level of service whether in ministry, business or nonprofit work. I enjoy enlightening, equipping and empowering people to continually find their way to excellence whether it is developing financial accountability, strengthening their mission statement, encouraging business to pursue their passion or ministries to boldly go where no missionary of social justice has ever gone. I love motivating, encouraging and inspiring people. "Anything and everything I do impacts my community: how I raise my sons, how I deal with conflict, how I rise above, how I encourage others to shine whether it is personally or professional, how I accept and move past my limitations or mistakes, how I embrace all of the many possibilities within me." "Racism continually and very defiantly rears its ugly head in our schools, our communities and even in simple business transactions that folks in power say “laws are suppose to protect us” from facing disparate treatment." "We Asians—eastern thinkers—define conflict as both danger and opportunity. We don’t see conflict as something bad. The Kanji or the ideograph depicts potential danger—and it also depicts potential opportunity. It is all in how you look at and embrace conflict. It is important to ask can we learn from this: Can we grow? Can we become better at what we do?"